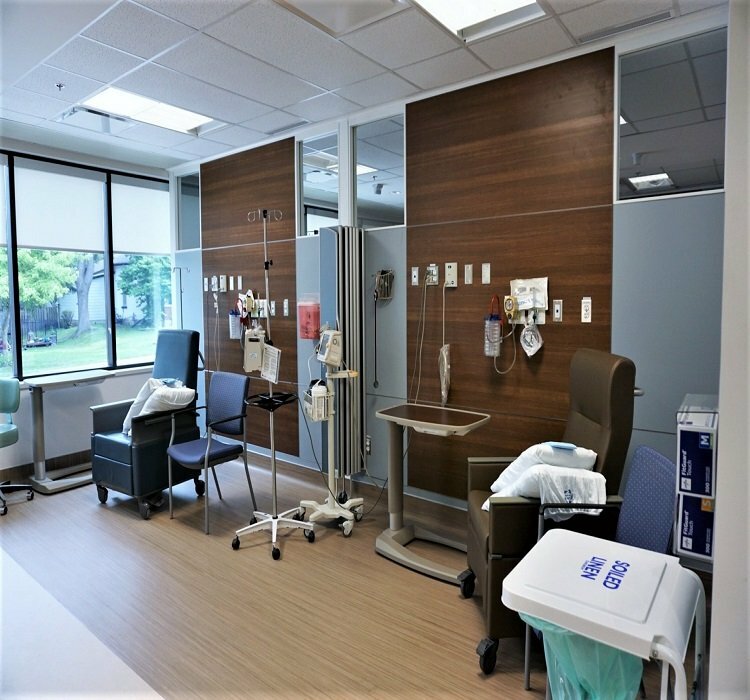 When Wingham Hospital was looking at renovating their space there were two important factors: Time and Delay in essential services. 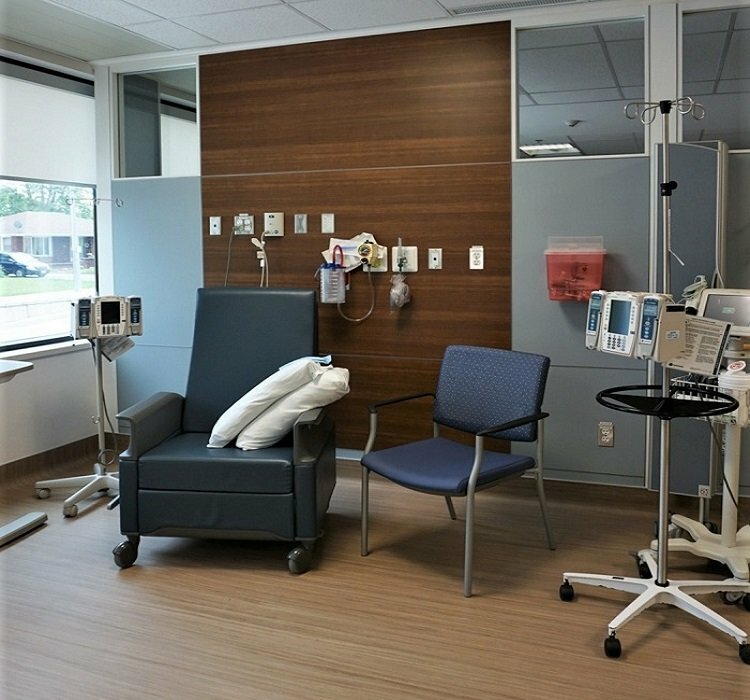 This was why the designer, Dialog Architects used DIRTT for the Oncology treatment area. The speed of delivery and installation were the key factors that sealed the deal on this project. There were 8 headwalls installed in the Oncology area of the hospital. 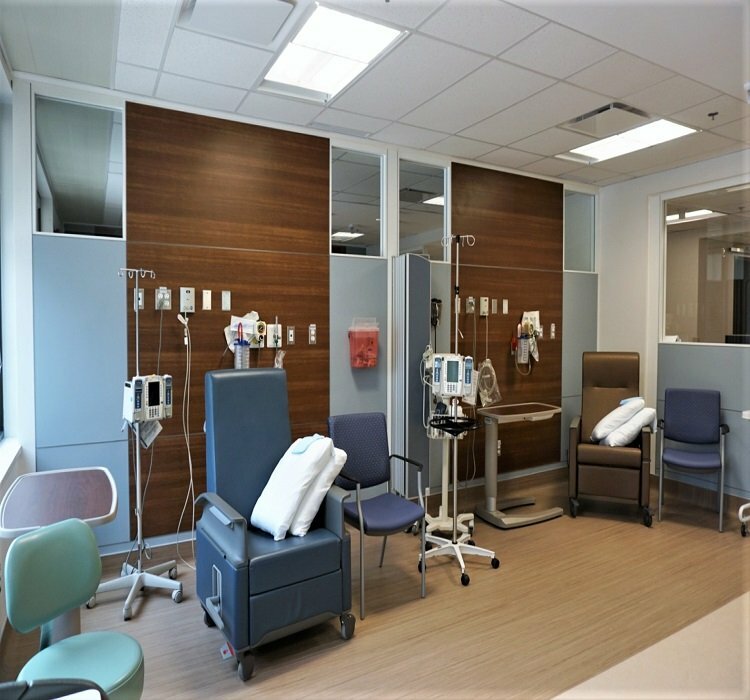 Each wall features med gas lines for both vacuum and oxygen as well as custom colour tiles to match the conventional construction walls. The clerestory feature allows for a maximum amount of natural light to fill the space. 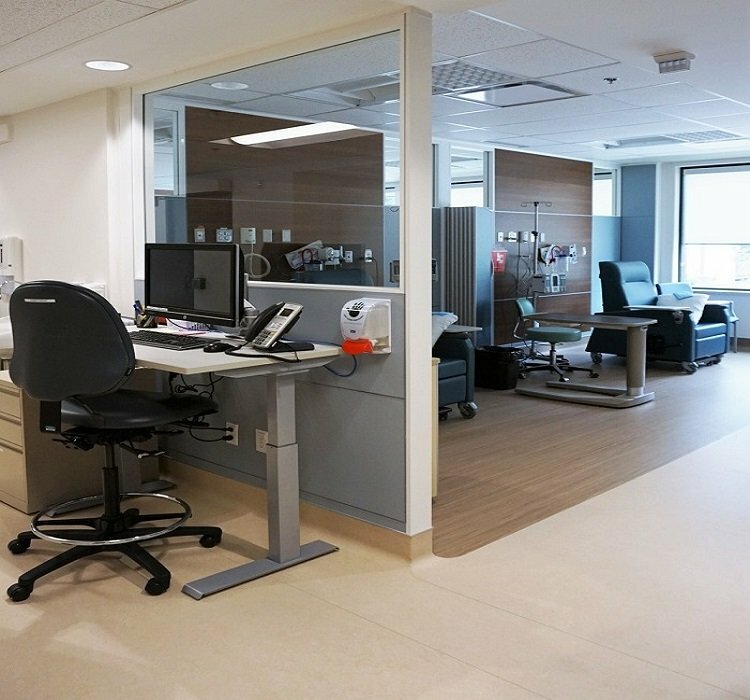 Infection control was a top priority for this project given the sensitive nature of the space. 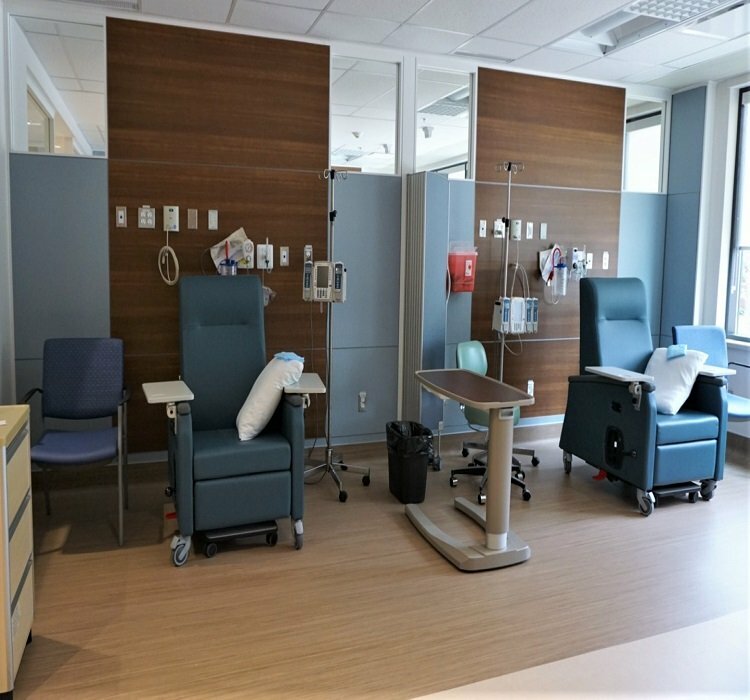 DIRTT was able to provide infection control gaskets between all the tiles, in addition the sheet flooring was installed up the bottom tile of the DIRTT wall and a special Healthcare friendly ceiling trim was used.